Fall projects have begun here at the Playroom. 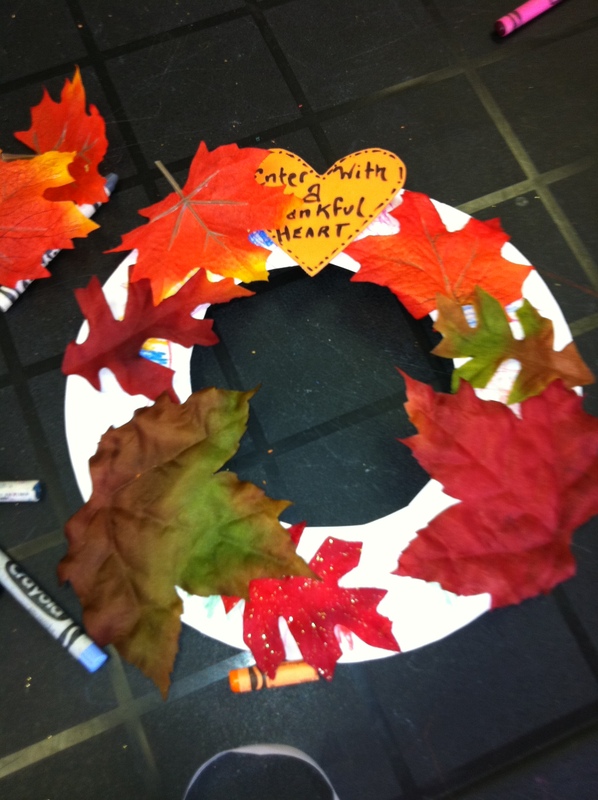 So far the children have enjoyed making scarecrows and beautiful Autumn wreathes! It is our hope that everyone in your family has a very Happy Thanksgiving! For the scarecrow craft you will need: Popsicle sticks, glue gun, raffia, googly eyes, fun foam, markers.